Judith Ortiz Cofer (1952–2016) spoke at length with Alan Flurry, UGA’s Franklin College of Arts & Sciences Director of Communications, in December 2013. Here, for the first time, is the full transcript of their conversation, published in honor of Judith and her remarkable career. Alan Flurry (AF): So you’ve retired from teaching. Do you see going down there [back home to Jefferson County, GA] as a chance to concentrate on writing for a while? Judith Ortiz Cofer (JOC): Oh, absolutely. I love teaching, and I think I’m successful at it. I love my students and I’m at my best in the classroom, I think. But we [Ortiz Cofer and her husband John Cofer] counted the years and I’ve been here for 26, almost 27. I started teaching immediately after graduate school. And I figured that’s long enough. I’m a writer who teaches, and so forever I’ve been getting up at 5 a.m. and giving myself two hours to write. I keep this schedule very strictly when I’m on a roll. My ideal day still involves getting up early—but maybe not at 5. I’ll see if I can snap out of that trance I’ve been in for 30 years. If I don’t have papers to grade and meetings to attend and all that, then I can write during the day and then think about what I’m writing. And then maybe go for a walk, and have a glass of wine. Life doesn’t usually let you do that—I want you to know. So now I’m very excited about the possibility of going through a book without stopping for a while because of the demands of the job. But I will miss it. This has been my home for so long. I love the campus. I love my students. AF: So, when you first arrived you were an instructor. How has what you do changed over that time? The students you get, what you talk about, and the way you teach writing. . . ? JOC: When you start out teaching you teach mainly work-intensive courses—and it’s not that creative writing isn’t work intensive—but for those work-intensive courses you’re preparing tests and grading a lot of essays, and those are things I enjoyed completely. But I also knew that what I really wanted to do was to teach what I know best, which is creative writing. In the beginning, I taught those huge survey courses, including multicultural literature, even though my degrees are in American literature. I’m so glad I did it but I also spent every summer reading up on Asian American and Mexican American books and authors. As I published more books and started getting a sense of creative writing as an area, I started teaching more creative classes and graduate seminars in poetry and fiction writing. And that’s been extremely rewarding. Just this past Friday my undergrad students did a huge reading at the Georgia Museum of Art, and there were like 200 people in the audience! And it was wonderful for me. This sounds really cornball, but you know, when they went up there and presented their work, which was based on the museum’s collections, I felt like, “This is what a teacher is supposed to be.” You’re supposed to take them to a place outside of themselves, you know. But not to belabor that. I’ve had a fulfilling career and even though teaching is at its core, it’s writing that really brought me to it, because I fashioned my teaching on the fact that I love literature because I write. AF: And you’ve been able to accomplish a great body of work. How has your success as a writer informed your teaching? JOC: Well, one of the things that writing does is make me continuously have to read, so I tell my students that there is no way for them to improve their writing unless they’re reading always, all the time. Reading has allowed me to keep up with what contemporary American literature is. And so I’m not stuck in one era; I’m not just trying to force feed my students one thing. I know that they have to have the basics and know the canonical figures, but they can also read people who reflect the world as they see it. I served on the National Book Award panel last year and I read 318 books—wow. This was the most disciplined I’ve ever had to be for one entire summer, because when you’re on the panel they send you books in late May and you have to have the selections by October, so I was reading two books a day. This taught me that it is possible to discipline yourself to do something like that. I judged young adult literature and I write young adult books, so I just decided—even though I was cross-eyed by the end of each day—to take that as my continuing effort to educate myself as a writer. I understood at the end of those 318 books that if I’m going to write another young adult book I have to be aware of how technology and everything has changed the world. At first, reading for the National Book Award was a little hard to live with, but then I understood that I could do almost anything that was required for my job, if I had given myself my two hours a day to write, if I had given myself that. “I’m done,” I’d think. “I’ve done this and it’s something that is mine, and therefore I can be a little more generous.” I don’t know if that makes any sense. AF: Perfectly—it’s an outward expression of your commitment, to writing and to yourself. AF: It’s not about your ego at all. Through your work and your career, you are helping us understand the Latina culture as it relates to Americans. What do you think about that role, first of all, and then sharing that with a wider audience? JOC: Well, the thing is that I didn’t set out on an activist mission. Sometimes your question is asked like, “How come you’re not out there protesting?” You know, engaging in politics in a different way. And I answer that if I were out there protesting and attending rallies and all that I wouldn’t be home doing the one thing that I can do to open eyes. And so, that role is a two-pronged thing. When I started writing, it was out of . . . well, the only mystical aspect I allow myself with regard to my writing is that I don’t know where my urge to write comes from. I’ve had a need for writing since I was very young. And it fulfills something in me that—um, maybe chemistry explains it, maybe it is dopamine that makes me write—I don’t know! [laughter] But whatever it is, I’m driven to tell stories and to shape language. And I’ve thought a lot about this because I write a lot about language and how it empowered me. I think I’ve done that because I grew up in a family where language was a problem—my father spoke English pretty well, but he was in the navy so he was gone most of the time. And so my mother just thought of herself as in exile. She wanted to go back to the island and she’s one of those people for whom I was the interpreter, as soon as I learned English. It happens in many families. But I realized the book was having an impact after it came out and people started reading it, and I give much credit to the UGA Press for publishing it—they took a chance on a book that reflected nothing in their catalogue. And I wasn’t even on the faculty at the time. And [then–UGA Press director] Malcolm Call said, “I love this book; I’m going to publish it, we’ll justify it.” And now it’s in its umpteenth printing—it’s been in print and in the classrooms since 1989 or ’90. And I realized, as I traveled after the book came out, that more and more people were saying, “You wrote my story.” You know, for example, people think Puerto Ricans are weird to practice Santería or this and that, since they don’t understand that we do it to stay unified and all this. So after I wrote the book I would get all these testimonials and I thought, “My god, you know, my little story. . . . ” I didn’t decide to change people’s minds or lives and then write the book. I wrote the book and saw. I saw that these kids were reading the work and they would ask questions like, how was it for you in a barrio and all this, and I’m not saying those kids went out and changed the world after that, but maybe one of them will recall in the future some interactions with, maybe, a Latino farmworker, or someone like that. So maybe my books, I realized, were opening little small partitions into a world that seems foreign to a lot of people. So, as I said, it wasn’t like I set out to change the world by writing the books. I wrote the books and realized that in some cases they were making a difference, especially if they provided teachers—my young adult books did—with a way to include the outsiders in the class in the class discussion. So if the central character happens to be Puerto Rican and you have Latinos in the classroom, it’s not like Tom Sawyer. You need Tom Sawyer but you can also talk about the brown boy. AF: So, regardless of your intention, the juxtapositions your stories add to the canon effect change by increasing our understanding and creating empathy in areas where we had none. JOC: Exactly. Like when I first read Flannery O’Connor, there were explosions in my head, mainly because she wrote about an area that was familiar to me, and about people I felt I had met, and she also gave me permission, by writing about her backyard and pea hens and all that, to write about what I know. You can do some good work without having to go far away. The fact is that people like her, and Eudora Welty and the other southern writers, were critical to me. AF: Certainly—can you tell me about a few other writers who were really important to you? Yes, but when I talk about this I always have to explain that I am so old I was one of the original Latina writers. I didn’t have Latina writers to be inspired by. The first works in English published in the United States by Latina writers were Julia Alvarez, Sandra Cisneros, and me. And there were a bunch of men who were called the Nuyorican School, right, so . . . they were the boys, and they didn’t want the girls. Julia, Sandra, and I were the first generation to be college educated and bilingual. Before that, if you wanted to read a Latina writer, you had to get a translation. So I’m not saying we were the only first, but we were the first to reach a wider audience, because we were writing in standard English, not Spanglish or in translation. So I was influenced by those early canonical writers and later by Denise Levertov, James Dickey, Welty, O’Connor, and Saul Bellow. I’m sixty-one, so those of the generation after the Sixties were also very influential to me, but I read them not as examples of what I was going to do, but to study how they formed sentences. AF: So it mattered that they were American writers. JOC: It was important that they were American, although [Gabriel García] Márquez bowled me over too, and you see some influences from him in The Line of the Sun. JOC: It’s an ordinary story, mine. I didn’t go to any famous writers’ workshops. I married at nineteen. We had our daughter soon after, and then we took turns finishing our degrees and handing the child over as we went to our classes and to our jobs. It was a very hectic life and I was glad just to get my degree. AF: And one of you became a famous writer. AF: It’s the big danger, actually. JOC: Right. You know, to fall into complacency. I attended a conference in New York City and a young adult editor pursued me for the next two years after she heard one of my stories. She said, “You can do this for young people!” And I kept resisting it and then finally, one summer, I thought okay, I’ll try it. But I’m not writing down to young people. What I’m going to do is use the same setting I used in my novel, and I’m going to make the children the characters I created in that novel. So I did that and I imagined myself as a teenager living in the barrio that I described in The Line of the Sun, and amazingly that book has become my best seller. I think it has sold like 180,000 copies. And that doesn’t sound like a best seller by New York standards, but when you’re a literary writer and your books of poems sell 2,500 copies . . . well. AF: Okay, same topic. There’s been an explosion of interest in young adult literature. But we both know that The Sun Also Rises is not Harry Potter, and so where is the trade-off there? Or is there one? It’s no substitute for what we think of as high literature, right? JOC: Absolutely, it isn’t. And I don’t think my books should be read instead of, say, To Kill A Mockingbird, or The Sun Also Rises, or Mark Twain’s books. Absolutely not. I think that, from what I’ve seen, the best classrooms are the ones where they read those books and then the teacher introduces something by an African American writer and maybe my book, and then the discussion expands to asking how Mark Twain presents a picture of something that changed, and how has that picture changed since . . . that sort of thing. I think that the explosion in young adult literature has to do with the way people read now, and it’s not necessarily happening only in the classroom. I think young adult books sell because adults want to read quick, short pieces. They don’t always want to read Saul Bellow. They just want to read. So that was very good for me, to think that I’m introducing into these books ideas that adults also need to think about. AF: That’s great, and I know the two types of literature aren’t mutually exclusive. JOC: But I don’t like this new idea that people don’t have time to read and only read text messages and whatever. AF: No. Now, another question—and don’t be offended by this—but Stephen King always says that they don’t send oysters to pearl-making seminars. So how do you teach creative writing? I have to tell you that a lot of students think this is mechanical discipline work, but after I let them go, they still write from models. I tell them to just use the model as a trigger. Write your own story. It’s an amazing thing, like how you can’t just go fix an engine without having taken one apart and then put it back together. 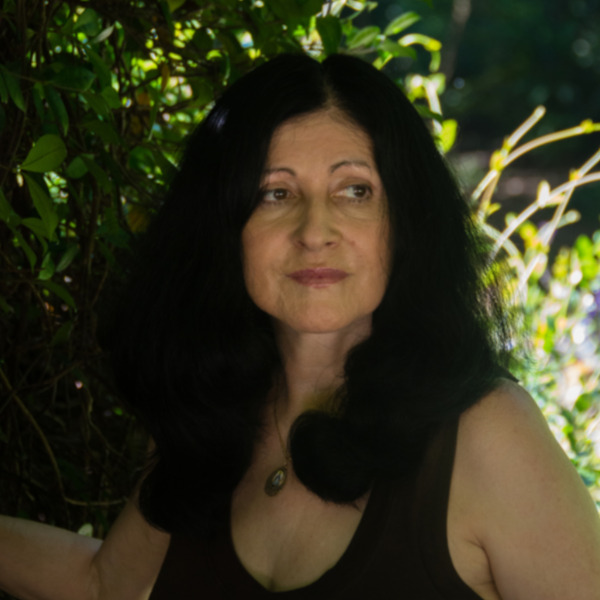 Judith Ortiz Cofer (1952–2016), as a young girl, emigrated with her family from Puerto Rico to Paterson, New Jersey; when she was a teenager her family relocated to Augusta. Ortiz Cofer was the author of several novels, including If I Could Fly (Farrar, Straus and Giroux, 2011), Call Me Maria (2004), and The Line of the Sun (1989); poetry collections such as A Love Story Beginning in Spanish (2005), Reaching for the Mainland (1995), and Terms of Survival (1987); a memoir, The Cruel Country (UGA Press, 2015); two essay collections, Lessons From a Writer’s Life (Heinemann Books, 2011) and Woman in Front of the Sun: On Becoming a Writer (2000); and many other works, including three children’s titles with Piñata Books / Arte Público Press—¡A Bailar! (2011), The Poet Upstairs (2012), and Animal Jamboree / La fiesta de los animales (2012). Ortiz Cofer’s work appeared in The Georgia Review, Southern Review, the Kenyon Review, Glamour, and many other periodicals, as well as in numerous textbooks and anthologies. Ortiz Cofer, who in 2010 was inducted into the Georgia Writers Hall of Fame, was the Regents’ and Franklin Professor of English and Creative Writing at the University of Georgia.